Personality: Tsume is lazy, often found napping by a fire or yawning as he goes about the tasks assigned to him. He gets exceedingly angry and feral when one of his charges are threatened. Otherwise, he's tame, lazy and pessimistic. Notes: Tsume's origins are unknown as the soft voiced lion refuses to speak about it. Currently he can be found within Ember's home, or not far from her. He has appointed himself her protector and will do anything she asks without hesitation. 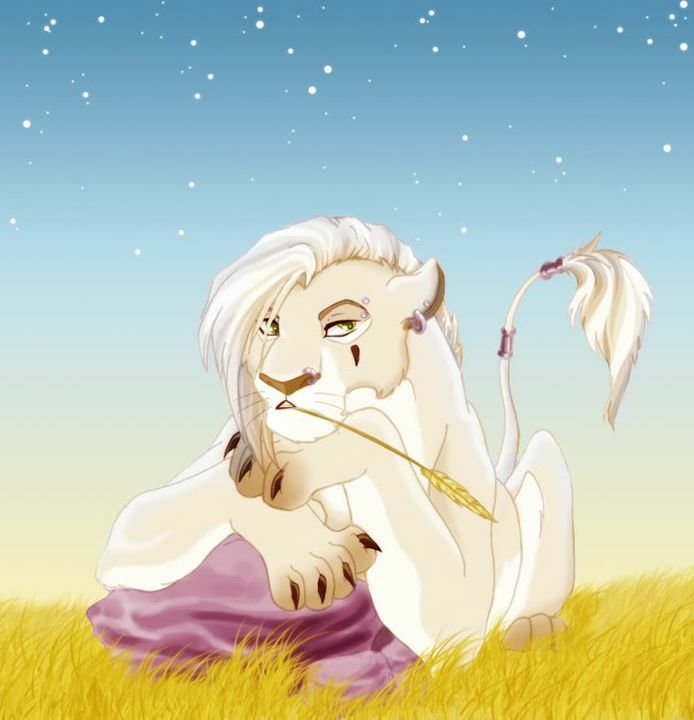 Being a feline like she is, Tsume can also be spotted playing with Ember when both are bored. He is a friend and not a slave or pet. He doesn't exactly like any of the males Ember has/brings around, but has respect for roune.